Google earlier this year announced its take on the form factor popularised by Microsoft’s Surface Pro with the Pixel Slate. It would be a tablet that could replace your laptop, and it was gorgeous — the way Google told it. In reality, the Pixel Slate appears to be an amalgamation of the issues with Google — and much of Silicon Valley software nowadays. A good idea expressed with highfalutin language and a mediocre, middling and second-rate execution. The hardware of the Slate is fairly humdrum, a tablet with an expensive keyboard cover that turns it into a laptop. It comes with a gorgeous screen, as with all Google things, and a bevy of questionable decisions such as no headphone jack, circular keys and (on the low end) a Celeron processor. Despite its questionable hardware choices, the Pixel Slate’s hardware sits up there with the best of them especially when you reach the top-end. Where it fails is the software. The Pixel Slate ships with Chrome OS, an operating system that is becoming a do everything OS if Google has its way. Android? Got it. Linux? Yeah, we got that too. Windows? Working on it. It has outgrown its web app roots and become something much more productive and refined in design. And it has done so with all the elegance of a bull rampaging in a China shop. On the surface, Chrome OS does have a wonderful suite of apps for tablet use with the Google Play Store. Its beautifully designed tablet mode draws heavily from Android, an operating system heavily geared towards touch. The advantage provided by the Android app store cannot be overstated. There are multiple apps ranging from the good to the mediocre, many of which remain unavailable on Windows. The lure of having the same apps on your PC and your phone is, after all, something that Microsoft dangled in front of Windows users for a spell with the failed Windows Phone project. Yet, reviewers and users have often found that Google’s Android app integration isn’t exactly solid. It’s been on the cusp of being there for about a year, but in typical Google fashion, the firm appeared to redirect resources into integrating Linux apps into Chrome OS before properly completing the job. In the end, while Android apps do work on Chrome OS, and they work well if you have a powerful Chromebook — Android’s lack of optimization for larger screens hurts it here. Apps like Evernote and Instagram are sometimes glitchy and buggy, while some apps like Spotify have been updated to work more naturally with a keyboard and mouse. Some reviewers often advice users to rely on web apps instead, but Android apps often have features that their web equivalent does not. The entirety of the blame cannot be laid at the feet of third-party developers. At least with the Microsoft Store (though anemic and lacking first party apps), Redmond itself takes a firm hand in keeping its apps optimized for whatever design trend seizes them at the moment while apps like Google Contacts and Photos still appear to be designed with phones in mind. This focus on the Android app experience is only symptomatic of the Chrome OS experience this past year (and again, Google products like Android Pie and YouTube Music), a distinctively unfinished tang that leads to devices like the Slate being a critical failure. 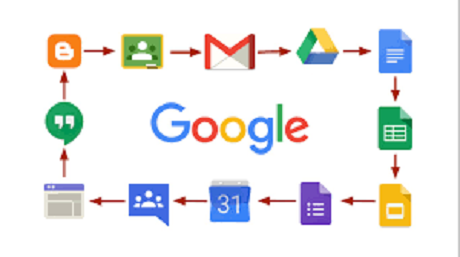 Like Microsoft and Apple, Google needs to stop, take a step back and apply a solid sheen of polish and refinement to its operating system before releasing another device like the Slate. 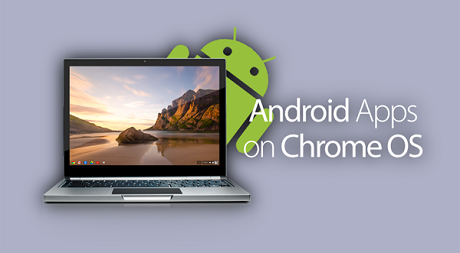 Once upon a time, Google’s Chrome OS could run like a dream on 2GB of RAM where Windows struggled. Now, you need at least 4 – 8GB of RAM and a decently powerful Intel processor to join the conversation while Windows has slimmed down considerably. Microsoft’s Surface Pro wasn’t a good device when it came out at first. It was saddled with the reviled Windows 8 on the one hand, Windows RT on the other. It was not until the advent of the Surface Pro 3 and Windows 8.1 that the line eventually took off. 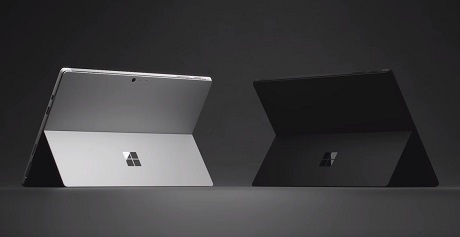 Right now, the Surface line is so polished that it has become the default option and a staple on many must-buy lists, a benchmark by which the iPad is compared to from a punchline to an unfunny joke. Yes, it has steadily shed many of its tablet trappings to become something more familiar to Windows users. Yes, it is sometimes unreliable. But when one looks at Google’s Pixel Slate which is taking a step in the other direction –the Surface line has nothing to fear just yet.